The Aspire Atlantis EVO represents the zenith of recent sub-Ohm tank evolution. Double wicking efficiency teamed with lower positioned wick points create ultra-efficient juice flow. This optimized design allows high VG E-Liquid an even faster route to the coil system. EVO breathes without a hitch when you require thick dense vapor production. The kit include 0.4 and 0.5 Ohm sub-Ohm coils for an optimized vaping experience. 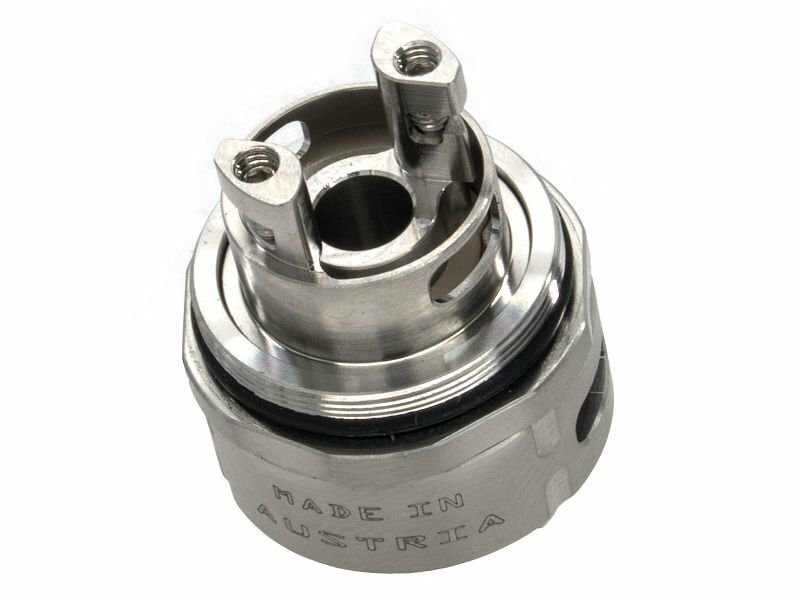 The Atlantis Evo is still compatible with the general Atlantis / Triton coil range. This is the extended kit you’ll find an extension to give the tank a 4ml capacity giving you the ability to choose between capacity and portability.